but overflowing with beautiful fabrics. She had quilts and quilt pillow covers that were pre-made. But, of course, I want to do my OWN! She had quilt kits she uses for classes. Quite a few choices of patterns that included a mix of fabric color choices for each pattern. I will share my Hawaiian quilt pillow cover with you in another post because I want to address the history and certain "rules" there are! She also had a beautiful section on quilting books. Of course, with an emphasis on Hawaiian quilts. It was hard for me to choose fabric to bring home. I had to keep it simple and easy. a) I had only so much room in my bag. b) Baby Button was a bit fussy while waiting in the car with dear hubby. I didn't want to torture him too long! c) I was overwhelmed by choices, and we were time constrained by a dinner reservation. d) Did I mention that everything is more expensive on the islands. It is in the middle of the Pacific Ocean! So I decided on some cool "local" fabrics. 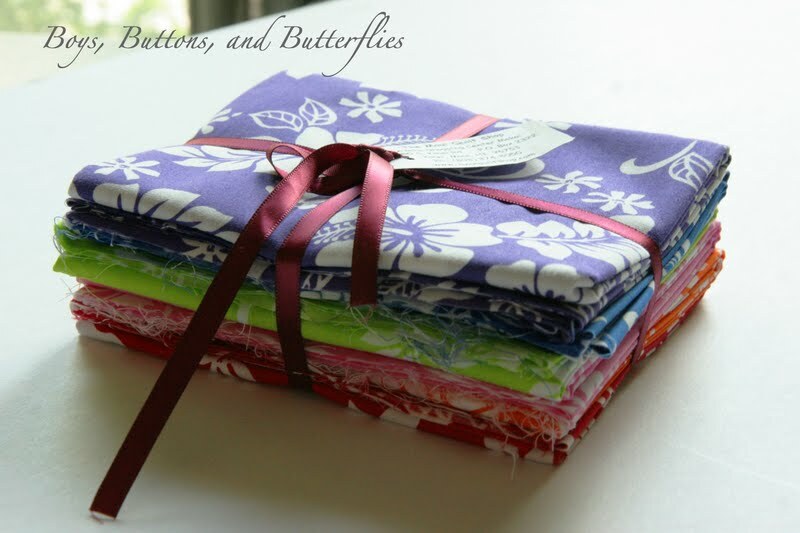 A Fat Quarter Bundle with Hibiscus prints. 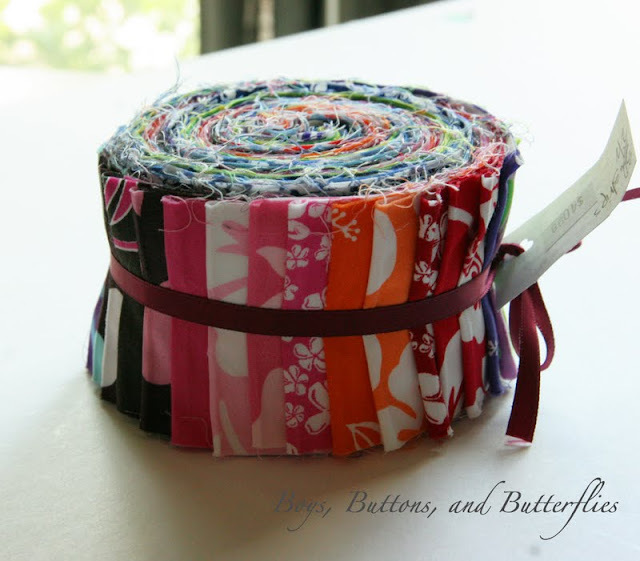 I took a few pictures of the jelly roll so you could see the variety of colors. 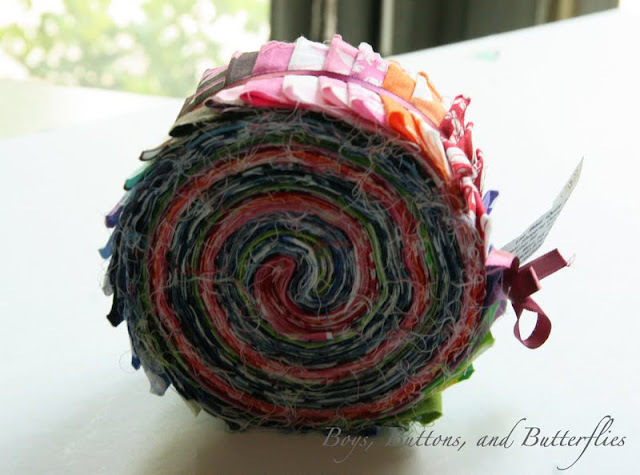 I love how they make their own bundles and jelly rolls! If you have any ideas on a strip quilt, please, please send them my way! 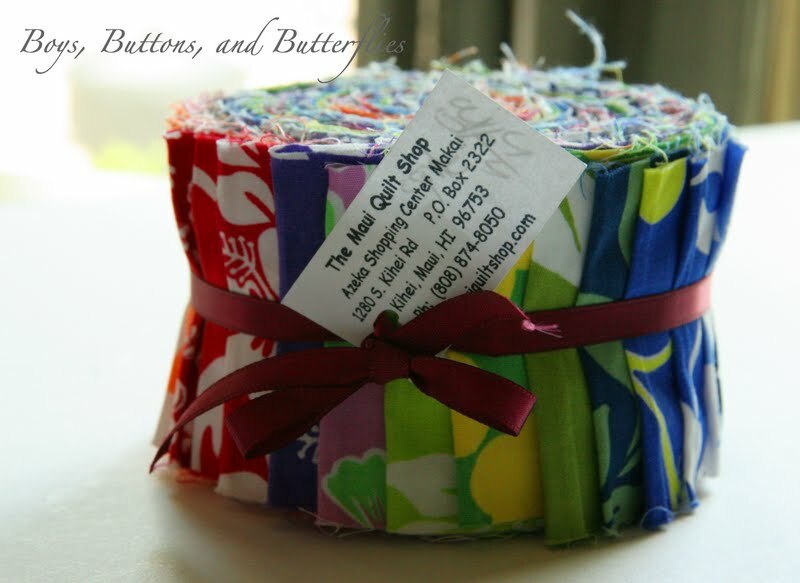 I'm not exactly sure if I want to use the fat quarter bundle with it or do something separate. Those are very pretty. 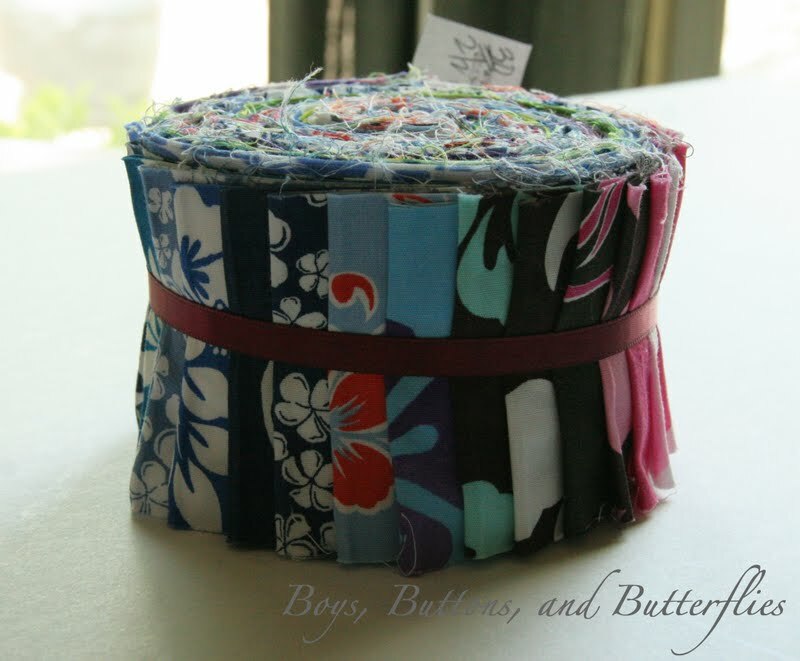 I'm not sure what to make since I've never even bought a jelly roll.